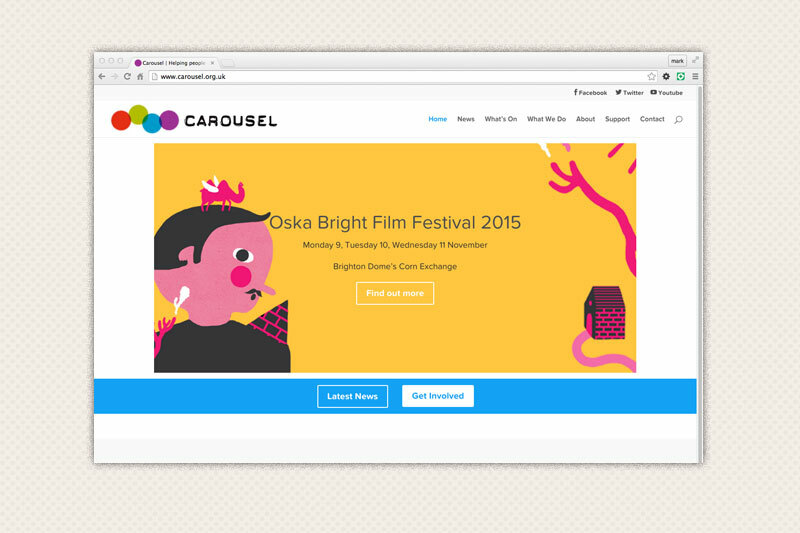 Carousel is a Brighton based charity that works worldwide on projects with learning disabled artists. Carousel believes that learning disabled artists make a vital contribution to the world we live in. It is an organisation that puts learning disabled people in control of their art; in film, music, performance and production. 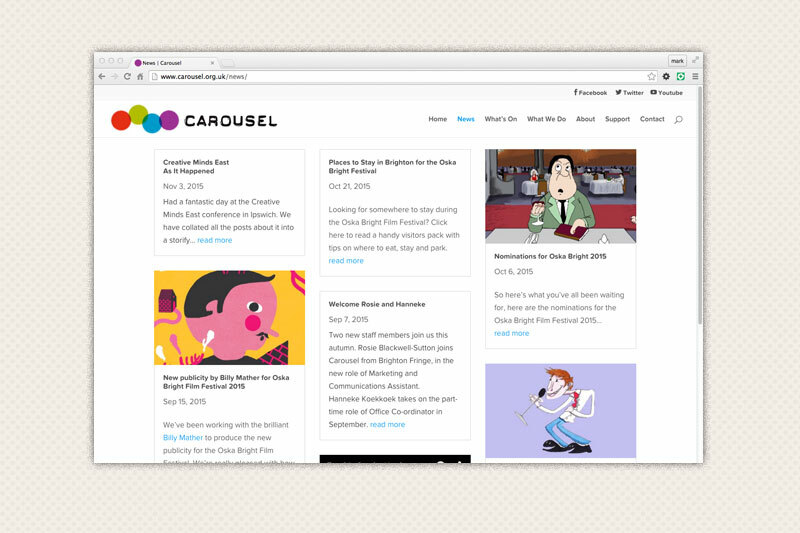 Carousel challenges expectations of what great art is and who can create it. 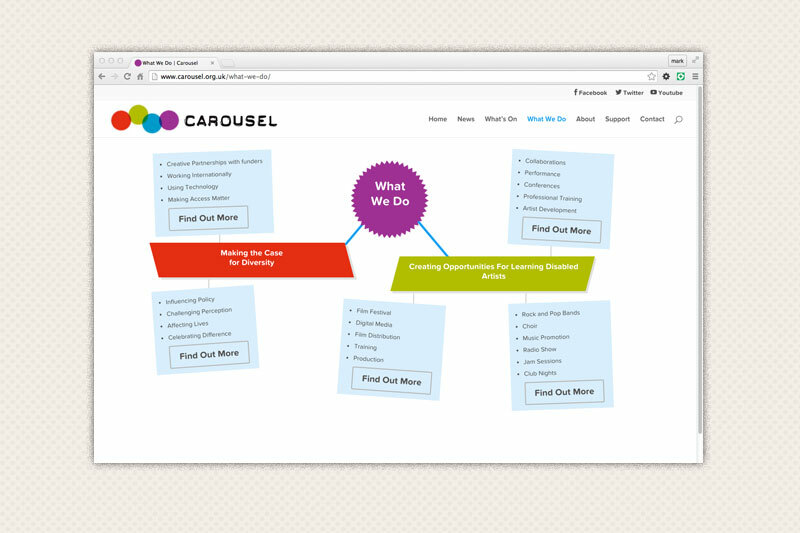 Having worked closely with Carousel on their previous sites, the focus of this design of the website was to put together a structure for the site that would allow new users to find out about all their different projects easily. The website is a custom built WordPress site that allows Carousel to easily update the site with new content.